Documentary theatre about boys who chase butterflies and men who murder. 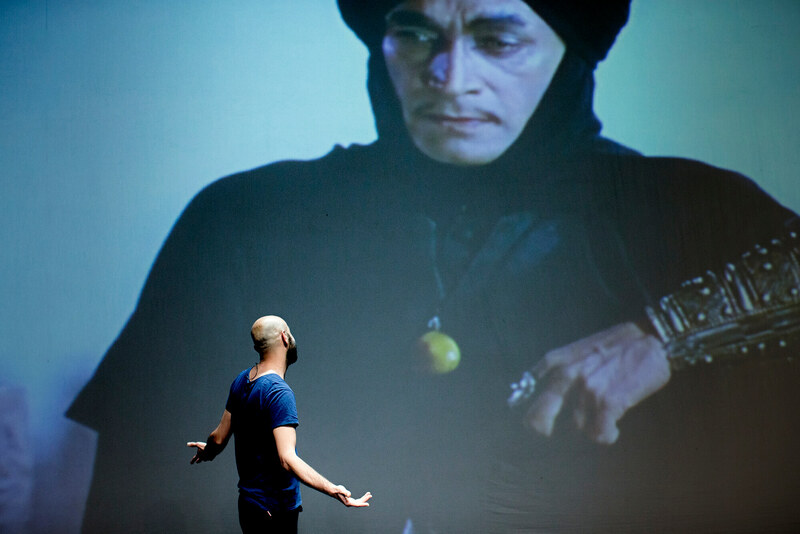 Theatre maker Enkidu Khaled was born in Baghdad, in 1985, during the war between Iraq and Iran. After the American invasion in 2003, he started out as a filmmaker. The camera protected him from the insanity of the violence. In 2007, he left his city. Writer and journalist Chris Keulemans grew up in Baghdad in the sixties, due to his father’s work. He felt his way along the pictograms on the walls of the oldest library in the world, learned how to swim at the chic Al-Wiyah Club and hang around with the Bedouin kids in the neighborhood. Keulemans and Khaled share their place of birth, but there is a world of difference. Last year, they both returned for the first time. 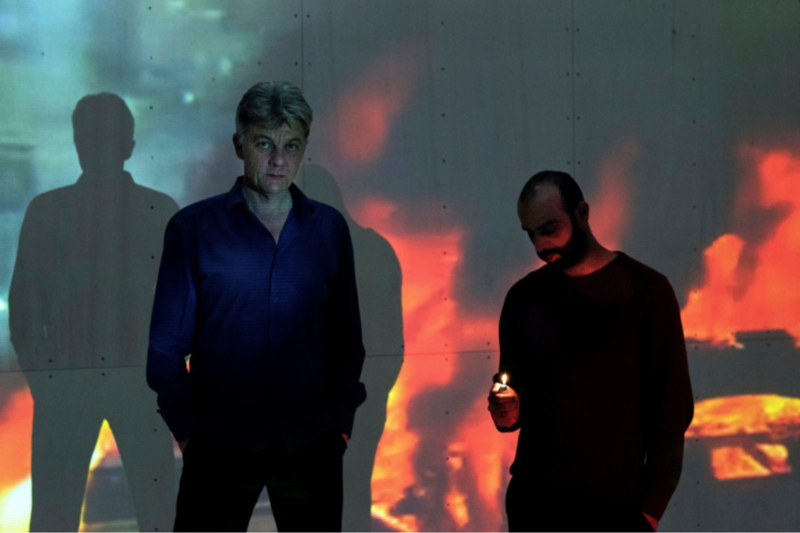 In this documentary theatre show, they exchange images and experiences: burning cars and gunfire in the chaos of 2005, but also Baghdad in days long gone: a peaceful city with palm trees and parks. Are they telling the truth? Have they kept their memories intact or are they poisoned? Baghdad is a show about boys who chase butterflies and men who murder, about the partylights on the riverboats in the Tigris and a crazy kidnapping in the Baghdad of today, about pain and paradise. ENKIDU KHALED (Baghdad 1985) was studying theatre and cinema in 2003, when war broke out in Iraq. Later settling in Belgium, Khaled collaborated on several internationally recognized productions including Crash, Iraqi Ghosts and Dreams of Environment. In 2016, his solo performance Working Method won the Big in Belgium Award and was presented at the Edinburgh Festival. In 2017, he graduated from the DAS Mastre theatre master’s programme in Amsterdam. CHRIS KEULEMANS (Baghdad, 1960) grew up as the son of a development worker. Later, in Amsterdam, he published six books of fiction and non-fiction, managed cultural centres Perdu, de Balie and Tolhuistuin, co-founded Free Press International and visited Sarajevo frequently ever since 1994. ATA GÜNER (Pazarcik, 1983) is a Turkish musician, composer and sound designer. Since moving from Istanbul to Amsterdam, he has worked with theatre companies such as Schwalbe, Lizzy Timmers, Well Made Productions and Copycats. Baghdad is a co-production by Monty (Antwerp, B) and Frascati (Amsterdam, NL). Monty is an arts centre dedicated to the presentation, production and development of the performing arts. It is a platform for smaller and mid-size production, local and international. Besides, Monty works as a producer and guide in the development of starting artists and companies. Baghdad has been produced in collaboration with Jamaa el Irakya. Frascati is an innovative, dynamic theatre in the centre of Amsterdam. Frascati regularly programmes in Flemish Arts Centre de Brakke Grond. Every year, Frascati presents more than 700 different Dutch and international productions, as well as producing some thirty large and smaller-scale productions itself.